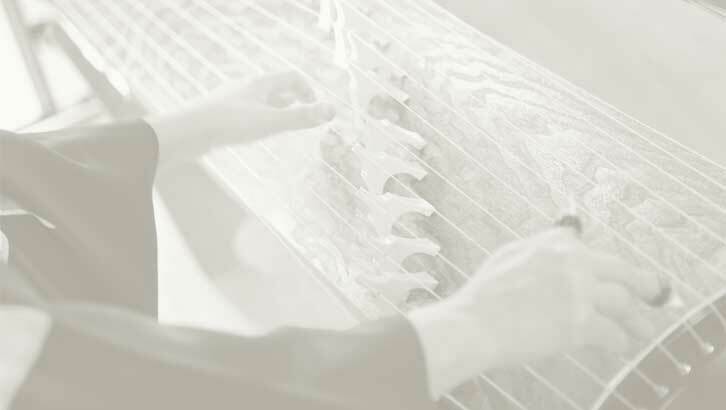 Due to the structure of the koto and its 13 movable bridges, the instrument may tuned to any type of scale. This work employs the exotically warm Ryukyu mode, which is from the far southern island of Japan and is similar to the scales of Southeast Asia. Based on two folk songs from the Ryukyus, this suite is in three movements, played in continuous fashion. The first movement opens with a long koto cadenzas for both the shakuhachi and koto,,and incorporates the melody “Tobaruma.” The piece moves into a rapid syncopated dance-like section in the third movement and climaxes with return to the “Asadoya-yunta’ tune.